The Minister of Education attended the “Festival Hari Guru” today in Universiti Malaysia Sabah, Kota Kinabalu. He participated in an interactive lesson on climate change conducted on the Frog VLE with a class from SMK Majakir, Papar. Students collaborated in a session between eight (8) schools across Sabah and Labuan via Frog Connected Classrooms. Today, SMK Sindumin in Sipitang, SM Sains Labuan in Labuan, SMK Tambulion and SMK Agama Tun Said in Kota Belud, SMK Banggi in Pulau Banggi, SMK Putatan in Penampang and SMK Shan Tao in Kota Kinabalu came together for this session where students discussed the different kinds of pollution, its varying effects on the planet, and how they could reduce pollution in their own localities. Using applications built as feedback tools for real time classroom participation and brainstorming, students polled their opinions and discussed the lesson interactively. Dato’ Seri Mahdzir Khalid was accompanied by Ministry of Education Director General Dato’ Sri Dr. Khair Mohamad Yusof. Also in attendance was YTL Foundation Programme Director, Datin Kathleen Chew Wai Lin and our Executive Director of FrogAsia Lou Yeoh. 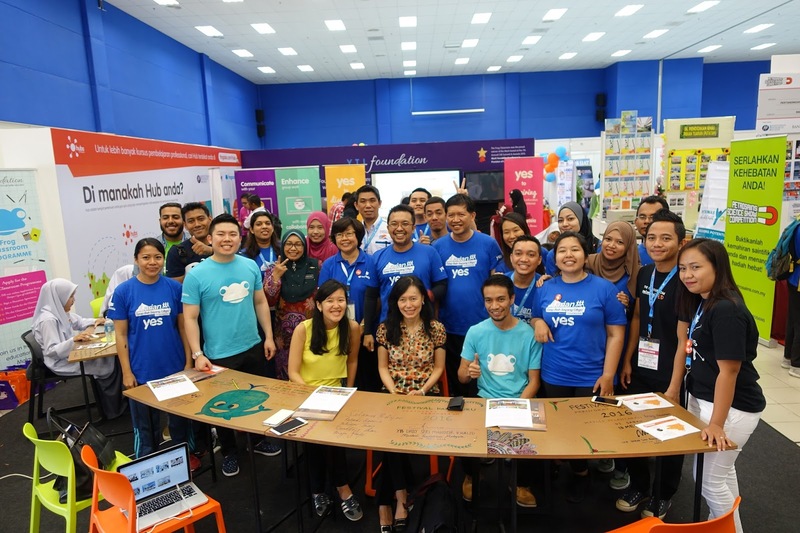 The FrogAsia, YTL Foundation and YTL Communications family with teachers of SMK Majakir Papar at national Teachers' Day celebrations in Kota Kinabalu, Sabah after today's World's Largest Lesson.